Goals or effects as activities in the plan – concrete actions or activities as issues. 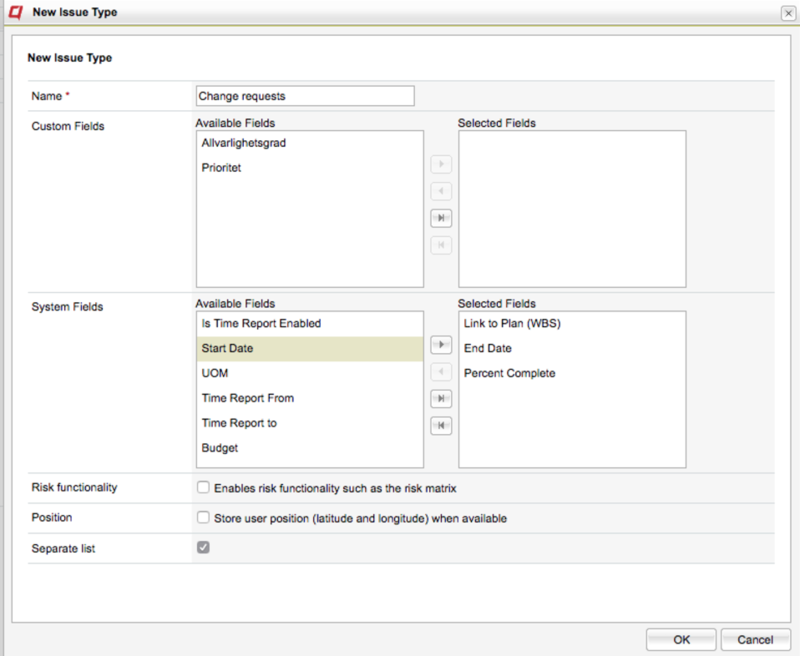 Planned activities in the plan – change requests in issues. Sprints or epics as activities in the plan – broken down stories in issues. Meetings as milestones in the plan – actions from the meetings as issues. The connection is done through a “Link to Plan (WBS)”- field on the issue. This system field can be selected by the workspace admin for all or some issue types/lists and then used in any project with Planning. The connected issues and their current status (open/closed) can be viewed from the activities in the plan by clicking on the icon “Connected issues”. Here you can also see who is assigned and which list the issue belongs to. Select the new “Link to Plan” field in Admin – or ask your workspace administrator. 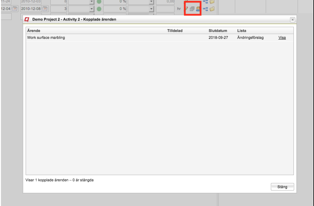 You can then connect issues by selecting the right activity in the field. All connected issues can be seen in the plan by clicking on the “Connected issues”-icon.